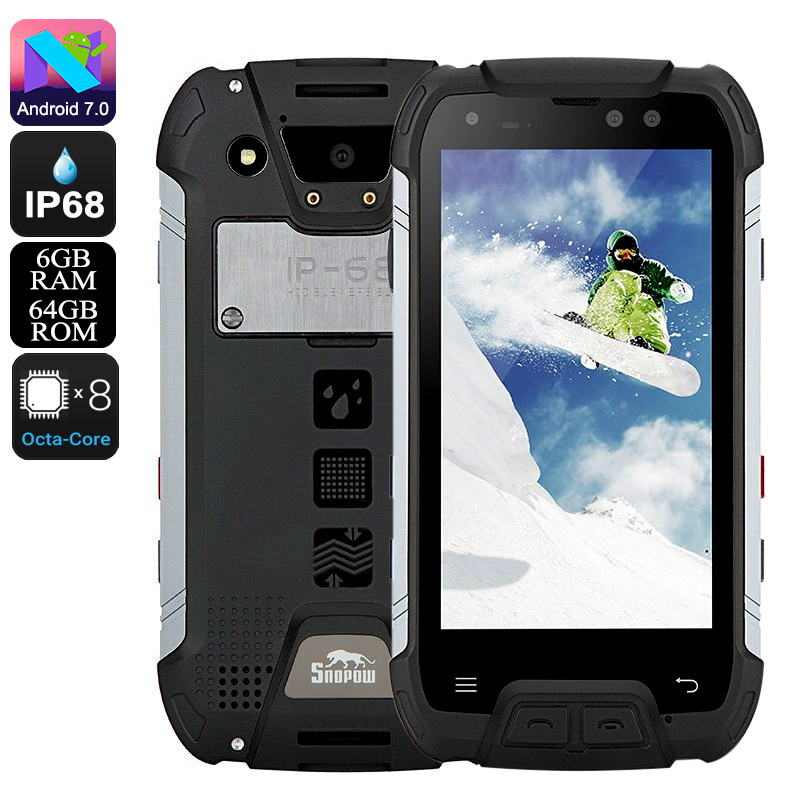 Successfully Added Snopow M10 Rugged Phone - Octa-Core CPU, 6GB RAM, Android 7.0, Dual-IMEI, 5.0-Inch Full-HD, 16MP Cam, IP68, 6500mAh (Black) to your Shopping Cart. The M10 Snopow rugged phone is the dream for every outdoor lover. This extremely durable smartphone features a rugged body that fully protects it to the toughest of environments. The Android phone is rated IP68. This means it is fully waterproof as well as resistant to dust and drops. You won’t have to worry about using this smartphone out in nature or in rough places such as a factory or construction site. This rugged phone will follow you anywhere you go. It comes with Dual-IMEI numbers and 4G support. Therefore, you’ll always stay within reach to friends and family no matter where you’re at. This Android phone comes with a 12 months warranty, brought to you by the leader in electronic devices as well as wholesale rugged phones..